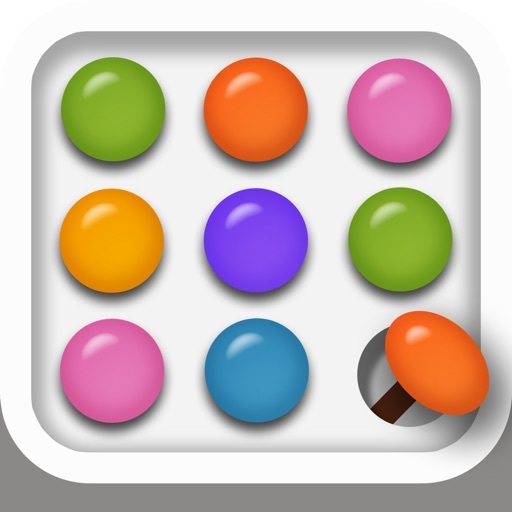 Master Logic by Digital Mind Co., Ltd. 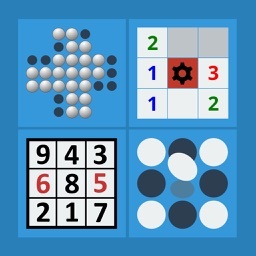 This game is the classic board game, Mastermind. 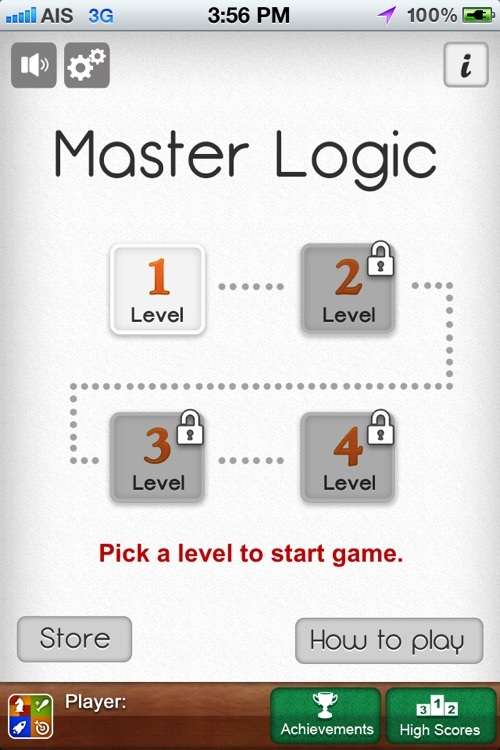 The Master Logic game has generated code for any digits. You must try to guess a sequence of unique (non-repeating) digits 0-9. 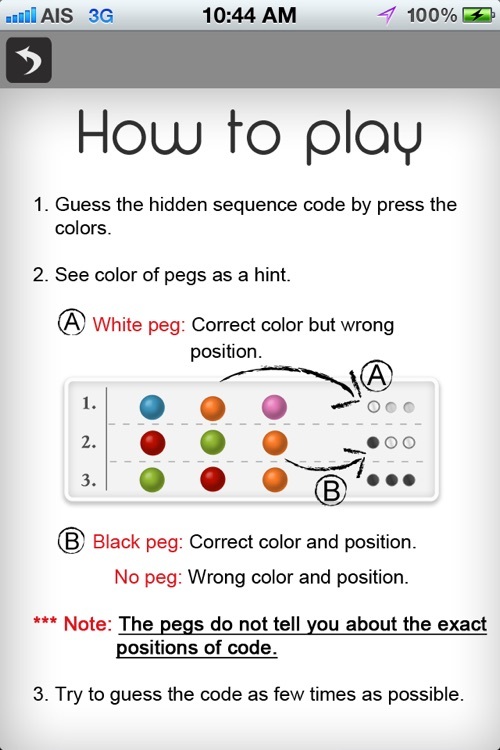 Then, see color of pegs as a hint. 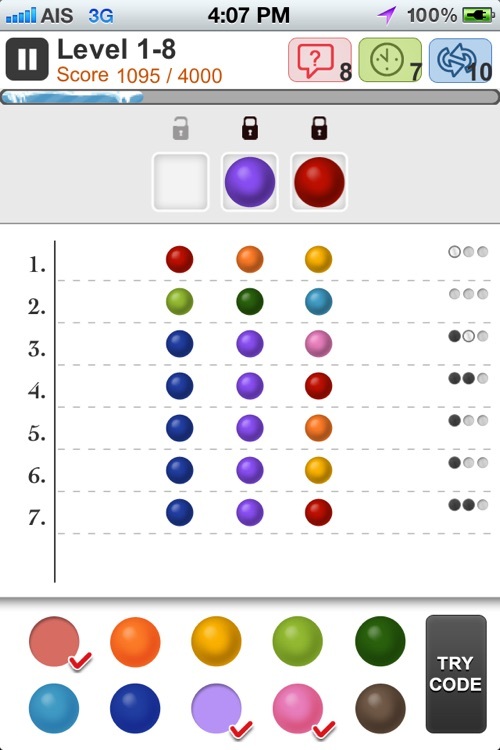 (You can change to play in "Color" mode) Note: The pegs do not tell you about the exact positions of code. You need to pass a series of stages. You have 30 cards. Hints ,Stop time and Restart cards. You will get one card every 10th round. Unlock level or reach score points get 10 cards. 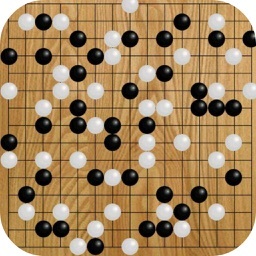 - Fun and challenge to finish decode before timeout. 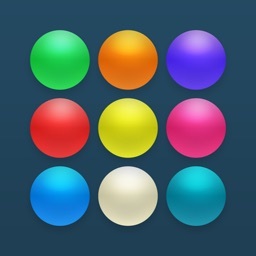 - Two options of hidden code, "Color" or "Number" mode. - Auto saves whenever the game exits. 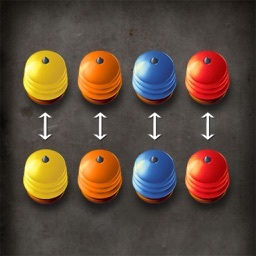 - Ability to lock guess in any position. - Entire game including all 10 rows for ipad and 8 rows for iphone visible on a single screen. 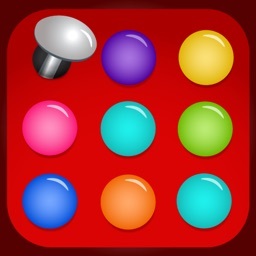 - Single tap lock, placement and removal. - Sound on and off option.